The 18 year old Lilian had, the previous November 25th given birth to a daughter. 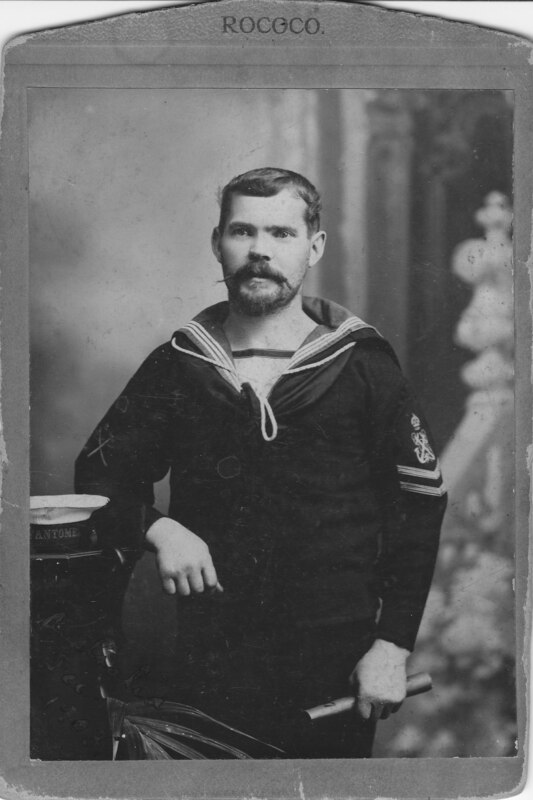 The father of the baby was a Royal Navy Cooper and master carpenter Thomas Bevan whom Lilian met when she was 17. They had started to court, but neither of them realised she was pregnant when Thomas left for sea. He was gone not knowing he was to be a father and Lilian had no contact with him for the next three years. Lilian was the oldest in a family of five. Her father was a jobbing gardener and her mother a housewife so they would have had no means to take care of Lilian and another child. How Lilian must have felt at that time, being pregnant and unmarried is not known, but I can only imagine how she would have had to approach her family and tell them. She also had to tell them that she did not know where Thomas, the father was. According to my family, although Lilian was not ‘disowned’ by her family she did give birth to her baby and her child’s birth certificate states the child was born in the ‘Leicestershire Workhouse’. 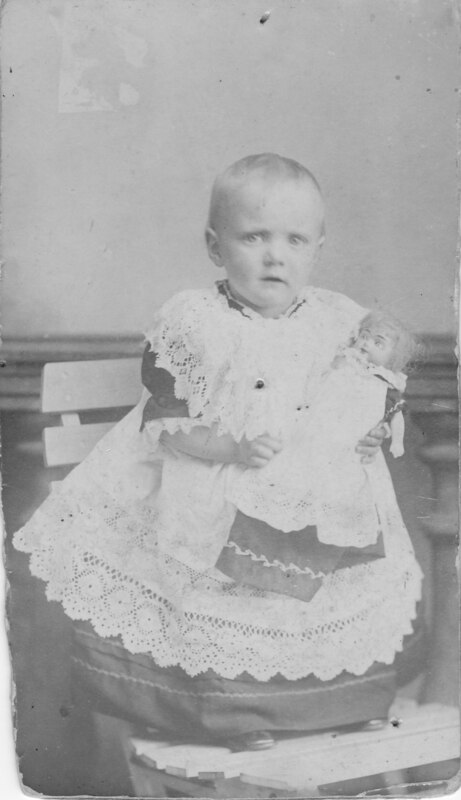 Lilian’s circumstances definitely changed, as I have a wonderful photo of the child at two years old and she is dressed in a very attractive dress with a matching dolly. 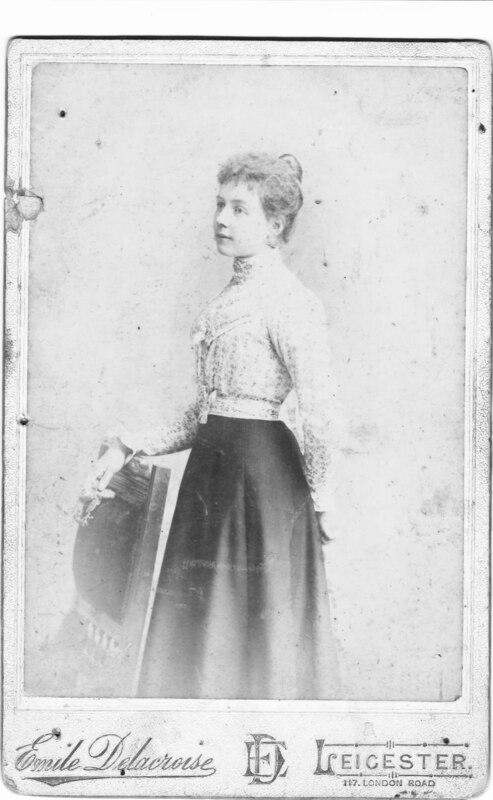 These are not the usual working attire for someone living in a 1902-era work house and tape recordings of family told me her parents looked after the baby daughter and Lilian went to work for Mrs. Whatnall. The couple went on to have four more children, who all lived to adulthood, including my grandmother, Edith, who had no idea she was born out of wedlock until she was 65 years old, but that is another story!